Van Gogh Museum in Amsterdam is one of the most famous city’s attraction. Featuring Van Gogh’s masterpieces such as Sunflowers, Almond Blossom and The Bedroom it attracts millions of visitors. How to get to Van Gogh Museum? Van Gogh Museum is located in Amsterdam at Museumplein, 6. From Amsterdam Centraal station you can get there by tram №2 or №5. If you are travelling from your hotel in another part of Amsterdam, use 9292.nl journey advisor to plan your route. It’s highly recommended to buy tickets to Van Gogh Museum online as it will save you time at the entrance. There are no commissions for ordering tickets online. 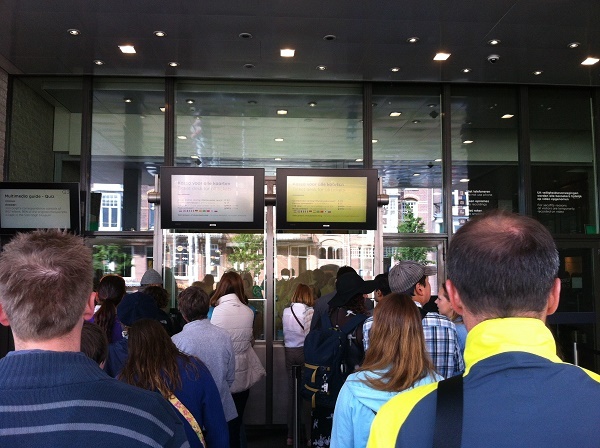 How to skip the line in Van Gogh Museum? 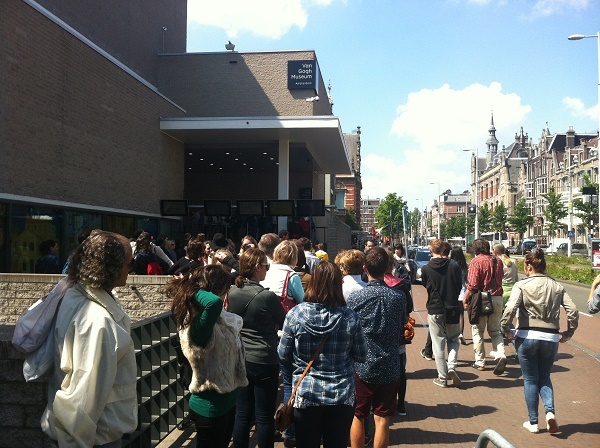 Waiting lines at the entrance to Van Gogh Museum can be really huge. 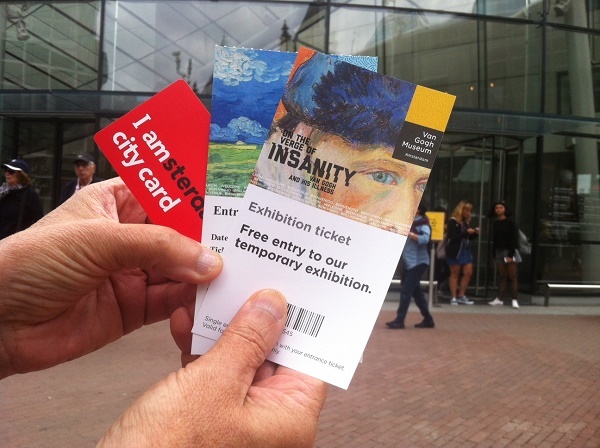 However, there are separate priority entrance lanes for Museumcard, I amsterdam City card holders and visitors, who bought tickets to Van Gogh Museum online. And while it is not possible to skip the line at all, you can reduce queuing time if you have one of the above mentioned tickets or cards in your pocket. While ordering tickets online, keep in mind that you will be asked to indicate the date and time of your visit to Van Gogh Museum. It is also recommended to arrive to the Museum before 10.30 am or after 3 pm to avoid peak visiting times. On the Verge of Insanity. Van Gogh and his Illness. From 15 July 2016 up till 25 September 2016. Van Gogh: Inspires Matisse, Kirchner, Kandinsky. Highlights from the Merzbacher Collection. From 24 August 2016 up till 27 November 2016. Daubigny, Monet, Van Gogh: Impressions of Landscape. From 21 October 2016 up till 29 January 2017. Great news! From 22 October 2016 till 1 December 2016 a special edition of the multimedia guide compiled by DJ Armin van Buuren will be available for visitors in English and Dutch. It will contain the DJ’s personal comments on 11 Van Gogh’s paintings, as well as music from the ‘Armin Only Embrace’ World Tour. Van Gogh Museum is open daily from 9 am to 5 pm. Every Friday the Museum stays open until 10 pm and offers a special evening program. After seeing the art collection, make sure you also visit the museum shop. The souvenirs you will find here are also pretty much like masterpieces. 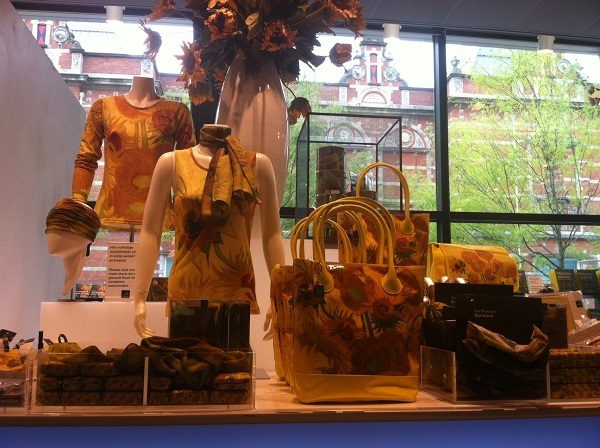 Enjoy your visit to Van Gogh Museum in Amsterdam!